About me & Baby Girl this week….I will be 31 weeks on Sunday! Tired, tired, tired...it is starting to feel like the first trimester all over again! Ughh..
Getting sore if I sit too long but thankfully no swelling yet! Weight Gain: Gained too much last week is all I am going to say. Still in a healthy range though - have gained about 21 lbs so far. Cravings: I am always craving good pasta...like the Mac & Cheese from Noodles & Co. and Olive Garden!! And as always sugar is my biggest weakness..cookies, Dairy Queen, and the delicious chocolate covered almonds my sweet hubby bought this week!! 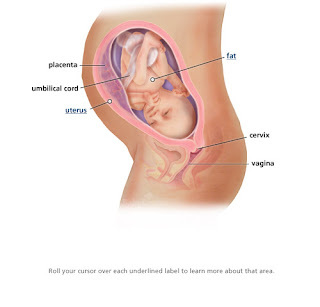 Food Aversions: It is pretty random...anything I ate in the first trimester I don't really want ever and I just never want to cook because I don't like all the smells! What made me cry this week: My son is such a big boy and hit huge milestones this week! I couldn't handle all of them and broke down early this week! We made the transition to his big boy bed in his new room, moved all his stuff out of the nursery, and he did such a great job sleeping in his big bed! (He looks so tiny in his big twin size bed!!) It was way easier (for him!) than I thought it would be and it just reminded me how blessed we are too have such a good boy! Then today he wore underwear to bed and stayed dry! Our empty nursery makes me sad but excited that we can start decorating for our little girl! Medical Stuff: My midwife is really annoying me lately. We have started clashing when it comes to certain medical interventions and she even dared to make the comment this week at my appt., "Do you have a death wish?" Who says that??!!!! Thoughts from my son: He is super excited especially now that he is in his big boy room and the nursery is empty. He keeps telling me we need to get some stars to hang in his little sister's room and today he helped me sort his old clothes to see if there is anything we can use again. Plus, he will randomly make comments while he is playing like, "I gotta pick this up so baby sister doesn't choke on it!" and he loves to kiss my belly and tell his sister he loves her! We are down to SINGLE DIGIT weeks! This was really fun for me to read! I'm also 31 weeks pregnant with a little girl and have one son already, so we are in very similar boats! My little man will be 2 at the end of February, only a month before his sister is due, so he doesn't really understand what is going to be happening yet. Congratulations on your little girl and good luck! I hope I can have a fairly natural delivery, as well, after my last one when I had to be put under general anesthesia for a c-section! Yay! So excited for you. How nice to be able to settle a little bit. And aren't you and your little belly cute?!? Thanks for linking up with me. I'll +1 this post! You can link up to 3 more posts if you'd like! Congratulations! Can you change midwifes or is it too late? She does NOT sound like a good one! On to the single digits now! Your due date will be here before you know it! Yay! Congrats! Yay for being on the home strech I know with my #2 I was sooo impatient for her and she was even later then my first ;-) Shes still stubborn! PS I always have to diet before all inclusives as I too gain too much weight. you look teriffic! I love seeing pregnant bellies! I am sorry your midwife experience is not what you were hoping for. I had a great experience with midwives, they were very open to the mother being the decision maker in the process. What an awesome summary of your pregnancy! Despite all of the negative stuff, I really did love to be pregnant - I miss it some days! Good luck with the rest of your pregnancy! Well I am not sure what kind of comment a Guy can leave on this post lol but I sure wish you well with your pregnancy and good health. P.S. My tummy looks like that all the time :( lol and no baby inside. I have to tell you, I come across a lot of blogs and I admire how open you are about your writing. It's refreshing. My little guy went through the exact same stuff you are describing and it brings back some very nice memories. For what it's worth, he loves his little sister very much and I'm sure you are going to have a similar situation. It really is the most amazing thing that's ever happened to me. Good Luck with your little girl! !